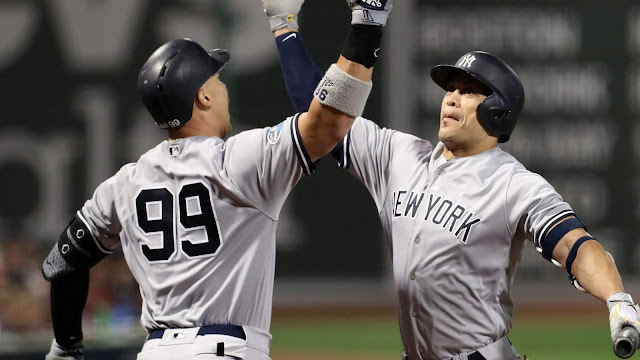 The best the Yankees can hope for today is to win the series against Division rivals Baltimore Orioles. 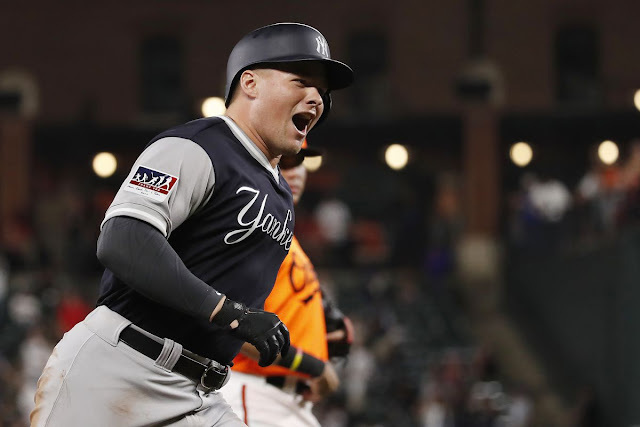 Picking up from where they left off last year, the Yankees had little to no offense in Saturday's 5-3 loss against the Orioles, who are rebuilding and reinventing themselves. There is simply no reason to lose games to teams in transition and yet, here we go again. Oh let me add some salt to our wounds as fans; the Yankees committed three errors, which also contributed to their loss. 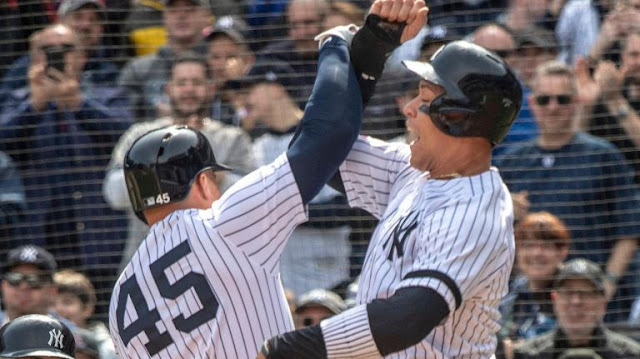 "Wasted opportunities at the plate early and three errors sprinkled throughout the game made a ninth-inning rally not enough to beat what many believe will be the worst team in the majors this season," reported the NY Post. Aaron Judge also added his two cents after yesterday's disappointing loss. 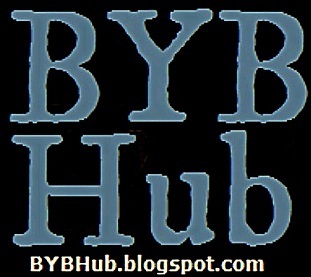 "Missed opportunities and costly errors. 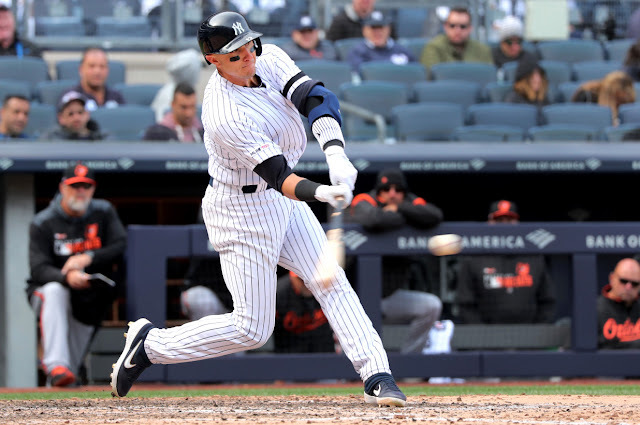 You make errors in the major leagues they come back to bite you,’’ said Aaron Judge, whose single in the ninth helped fuel a two-run rally that was started by Troy Tulowitzki’s opposite-field homer to right." 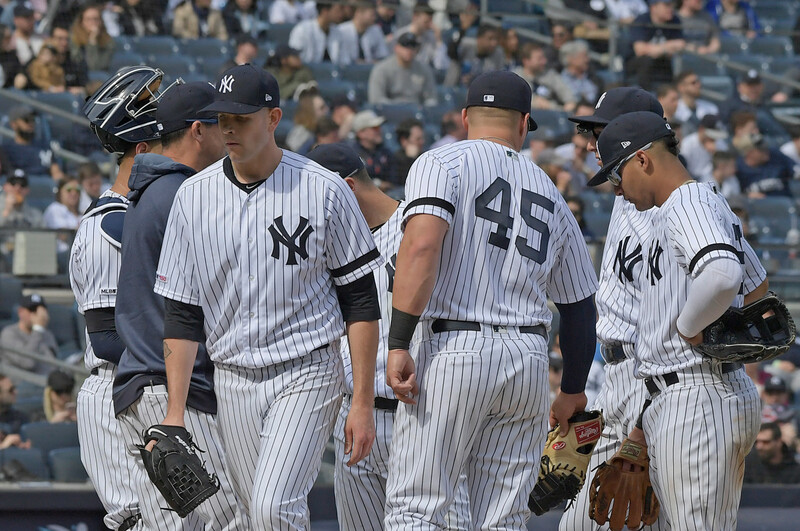 The biggest of the three errors came from Gary Sanchez, who costly throwing error and poor decision to not go for the lead the runner, cost the Yankees and James Paxton a win despite the lefty's stellar performance in his first game in pinstripes. "The Orioles pulled a double steal. With Richie Martin racing toward third base, Sanchez tried throwing out Jonathan Villar at second base. 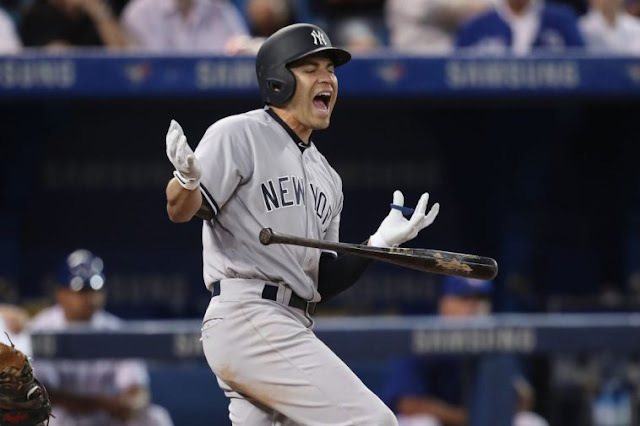 Sanchez’s rushed throw bounced well in front of second base, making an awkward hop in front of Gleyber Torres," reported NJ.com. And add Luke Voit's throwing error along with DJ LeMahieu’s error in the 9th to cost the Yankees the game despite a 9th inning rally. The ninth inning is just too late for rallies. The Yankees also can't expect to just muscle the ball to win...they have to play small ball and put the ball in play. The Yankees simply can't lose to bad teams. They can't strand runners, they can't strike out back to back with ducks on the pond and they need to take advantage early. I am hoping this is just a one-off and this performance doesn't become commonplace in 2019 as we saw it in 2018. The Orioles lost 115 games last year and they are poised to lose a similar amount this year. Let's not give them anymore wins in 2019 against the Yankees. The Yankees simply cannot afford it. One of the biggest problems with big, drawn out contracts is if a player gets hurt for a long, extended period of time, teams still need to pay. 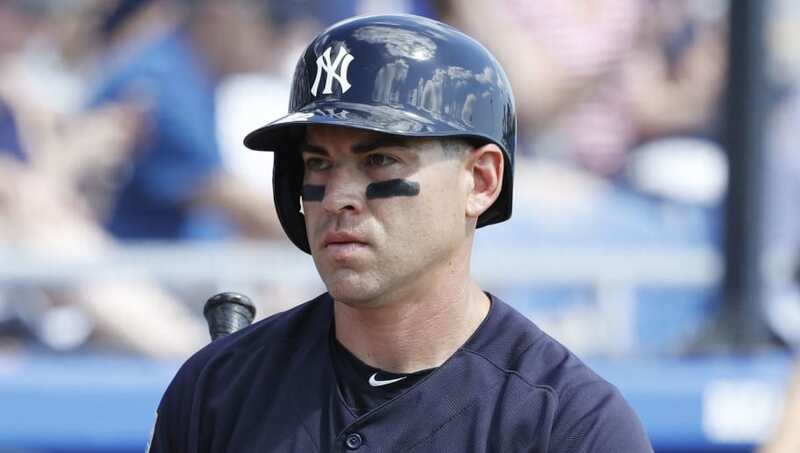 The Yankees were fools when they signed Jacoby Ellsbury to the contract they signed him too. I wouldn't have signed him into my grandmother's wake. He's a waste of space and isn't pulling his weight, nor is he delivering what the Yankees thought they were signing. Why? BECAUSE HE'S HURT. He's always hurt... and we knew that when we signed him. He has had that rep since his Boston days. 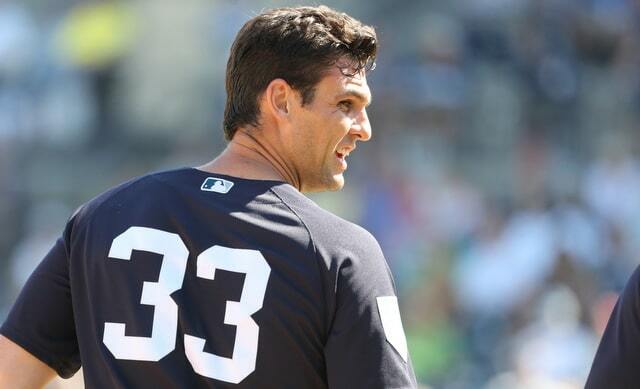 Do you know that in 6 years with the Yankees he's only appeared in 520 games? 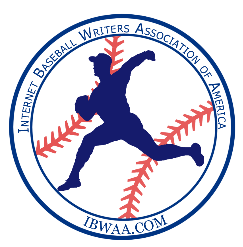 Did you know that in 2018 he never saw the field according to Baseball-Reference.com? Do you know that he's been out so long people actually don't know where he is if you look at the searches by us folks who are curious about Jacoby Ellsbury? He is robbing the Yankees blind. I don't care if he's hurt because he ran into a wall. I don't care that he underwent surgery, or is nursing his left calf. We signed this bum for a ton of money and he is MIA like... all the time. Cut him loose. Either find a team and pay the money or have him retire and pay him, but get rid of him. 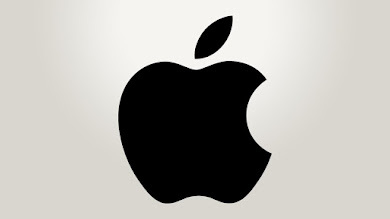 Maybe file a breach of contract. Maybe sue the guy. Do something... because it's mindblowing to me and it's a shame the Yankees were dumb enough to even have this guy on the radar that winter of 2013. 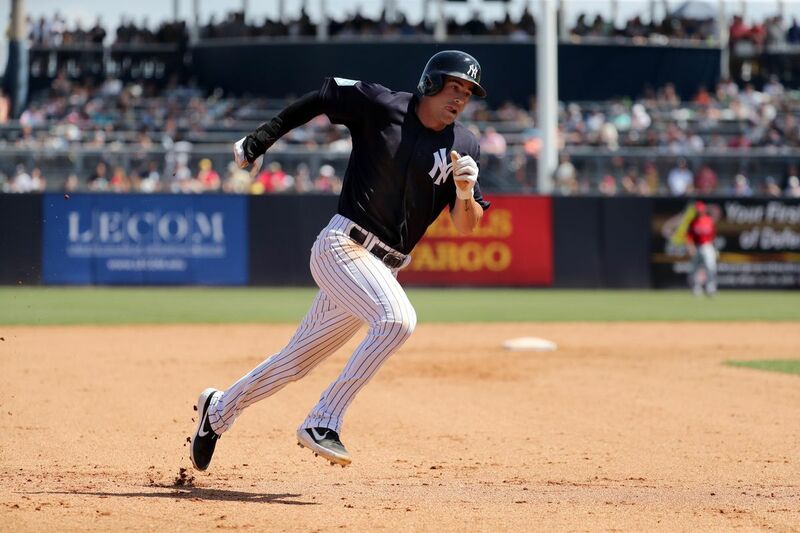 "The Yankees officially placed Ellsbury (foot) on the 10-day injured list Thursday. Ellsbury is one of six Yankees who will open the season on the IL as the team set its roster ahead of Thursday's opener against the Orioles. The veteran outfielder will remain at extended spring training while he continues to recover from a bout of plantar fasciitis and is without a clear timeline to return from the IL. 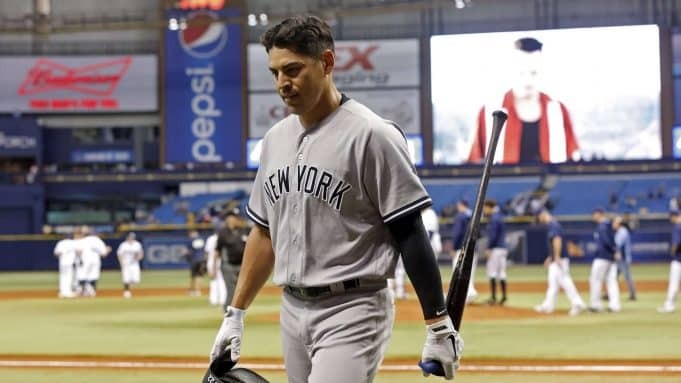 Once activated, Ellsbury is likely to serve as little more than a fourth or fifth outfielder and probably won't be guaranteed much more than a start or two per week." I'd sign him as a cashier at the pulled pork station at Citi Field. He wouldn't need to exert that much energy. 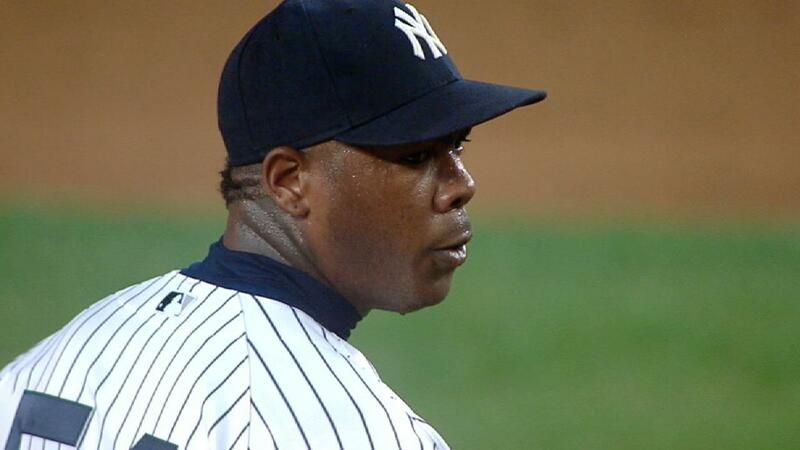 The headline makes you dive in for more... "Oh my God, what's wrong with Chapman? Is he pitching too slow? What do we do?" Come on, man. Seems serious. But is it? It's March 30th. I look at my own kid playing high school ball and playing exhibition right now. These kids are better than their playing. They seem slower. Their velocity isn't up. The power may be there, but really driving the ball isn't. My point is, all these players are human. While they have a job to do, it's way early. 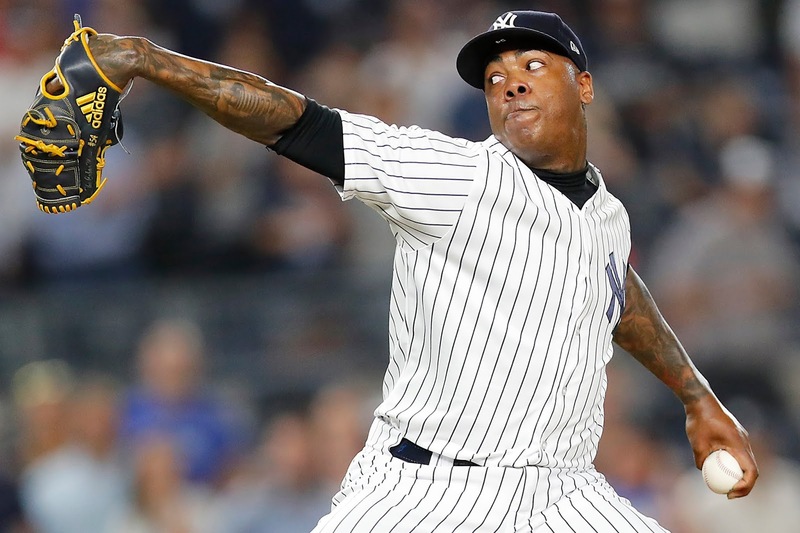 The Post writes: "The Yankees closer’s calling-card four-seam fastball that routinely pushes the speed guns into triple digits averaged 95.3 mph, according to Brooks Baseball." Oh... we can blame Brooks Baseball for the panic. I get it. "A scout who saw the left-handed Chapman in spring training didn’t discover any red flags..." It went on to say the scout just noticed he was working in more breaking balls. Another scout was very concerned... "The velocity is down and he threw more breaking balls than I have ever seen him throw. 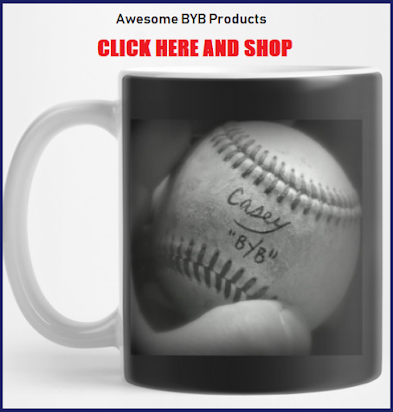 It is one thing to work on things in spring training, but now the season is here and the velocity is down..."
Relax. There's a reason why that scout wasn't named. That statement is stupid. We haven't even touched April. Please give me a break. Could there be concern about inflammation in Chapman? Of course. What happens if there is... he's out for a bit. No matter... we still have a great pen and he can heal. Will he be back... It will be what it will be. I hate panic folks. One day at a time... one season at a time. Literally one game in MARCH at a time... Please. Source: Newsday/J. Conrad Williams Jr.
It’s happening people, baseball season has officially BEGUN! I cannot tell you how excited I am to finally have something to watch almost every day, and the fact that New York baseball has kicked off with a bang certainly makes the start of 2019 even better. 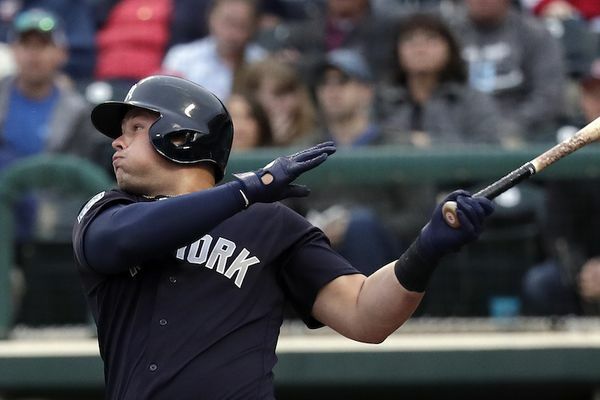 Luke Voit’s first-inning, three-run homer hyped up the stadium crowd. Voit also racked up an impressive four RBI-day when he was hit by a pitch in the fifth inning. Yes, I know it is the first game but I think this move definitely won him some brownie points for the first base position. Although Bird struck out his first three at-bats, he joined Voit and launched one out of the park in the eighth. Voit is not the only player to shine; Masahiro Tanaka also helped embarrass the Orioles with a 7-2 victory by striking out five and giving up no walks. Our favorite pair Aaron Judge and Giancarlo Stanton took position at the corners to set Voit up in the first inning. 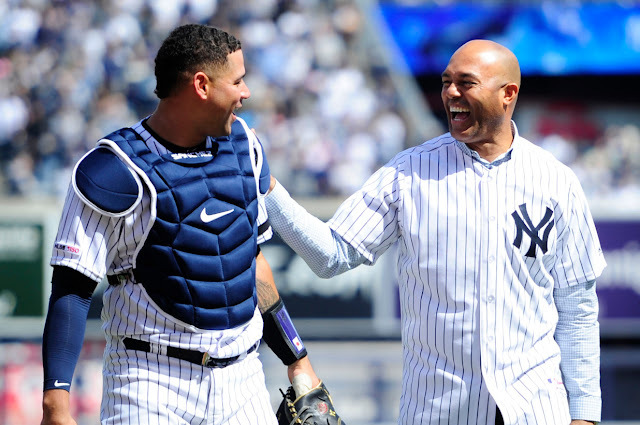 Not only are Yankees fans hungry for a win, so is legend Mariano Rivera who threw out the first pitch at the Opening Day game. Down in DC, the Mets also won their Opening Day game 2-0 against the Nationals. Robinson Cano was a star in this game, hitting a homer during his first at-bat as a New York Met, and helping the team get an early 1-0 lead. Met fans also got to see an incredible pitching duel with Jacob DeGrom and Max Scherzer. Even though Scherzer gave up an early run, he ended up staying in for most the game and recording an impressive 12 strikeouts. Like we saw last season, DeGrom was able to pitch well without receiving too much offensive support. I’d say DeGrom was definitely relieved because of his contract extension, recording 10 strikeouts and lasting six innings. New closer Edwin Diaz impressed me by flawlessly striking out the side in the ninth inning and collecting his first save for the New York Mets. I know it is a little early to start getting our hopes up, but it feels like it is going to be a great year for New York baseball. Finally! It's been a crazy long winter. It's a long time to miss baseball and think about how close we've come the last two seasons. Now, it's time to finish the job. The third time is the charm and the Yankees have the team to get the job done. It's not easy accepting that after a 100 win season it's not enough to win the division. That's crazy, actually. That was good for second place and a wild card spot. Aaron Hicks had it right when he said he's tired of losing and Aaron Judge is already thinking beyond Opening Day. He's thinking about winning the division and then the World Series, read more HERE. I like the hunger and determination. So here we are, Opening Day and the start of winning that division title. I hope Judge hits the ground running with that intensity and desire to get back on top right away. Sure, it is early and you don't win a World Series in April but if you fall behind early you can lose it. 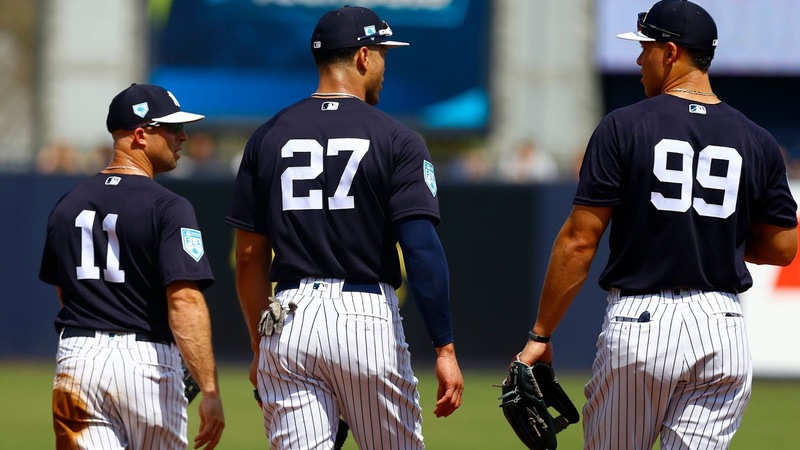 The Yankees have a good team, but what does the rest of the division look like? The most interesting thing about the Blue Jays are some of their young guys that will contribute throughout the season. They aren't built to "win now" and they lost their star power now that Marco Estrada and Russell Martin are gone. They don't have great hitters, defenders or pitchers. On paper they look boring. The only exciting names here are Vladimir Guerrero Jr. who will be up at some point after he recovers from an oblique injury and Elvis Luciano. 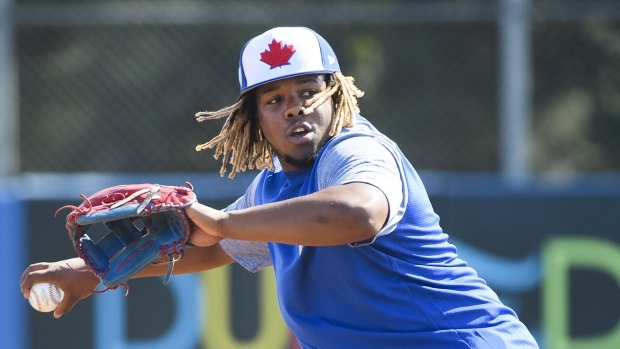 The Blue Jays got Luciano in the rule 5 draft this winter, he just turned 19 years old, never pitched above rookie ball but made it on to the Opening Day roster! It will be interesting to see what happens to the Rays this season. After winning 90 games last season you would think they would look to make some moves, add some payroll and be more competitive but they didn't do that. They added Charlie Morton to their rotation and he gives the Rays a strong top three in the rotation now, but they still don't have the bullpen or bats that the Yankees and Red Sox do. The Rays will be pesky as always, but it would take a perfect storm for them to take the division at this point. The Orioles lost 115 games last season with big names like Manny Machado, Zack Britton, Jonathan Schoop and Adam Jones. All of those guys are gone now. The Orioles are just starting a long term rebuild that started this offseason with a brand new manager and GM because after 115 season loss you definitely cant keep them around. It's going to take some time to rebuild. The Orioles are starting with changes to organizational leadership, not the players. There's really nothing exciting to watch here, except maybe some easy wins when they play the Yankees. Its weird that the defending World Series Champions didn't have much of an offseason. 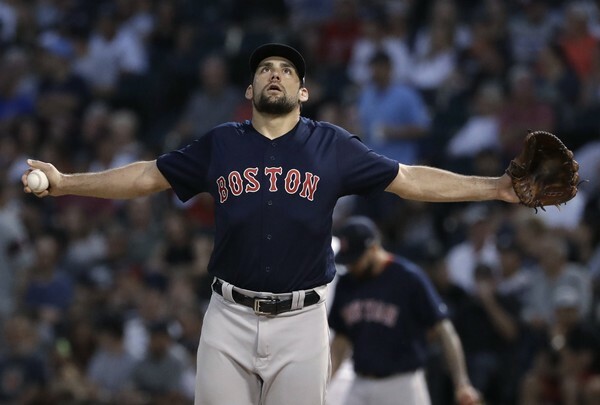 All they did was re-sign Nathan Eovaldi and Steve Pearce which is boring. They should have re-signed Craig Kimbrel and Joe Kelly. They still could but to be starting the season without them is a bold decision and makes it seem unlikely. The bullpen is the biggest weakness this team has and Kimbrel is an elite closer so it seems dumb on Boston's part. They will still score a ton of runs with their potent offense and they still have a very competitive starting rotation. They will eventually make improvements to that bullpen, but until then the key is to keep the games close and knock the starters out as soon as possible. The defending World Champs can't be crazy enough to have the highest payroll in the game and a weak bullpen, right? I mean....we wouldn't do that but if the Red Sox want to gamble let them! They may have an advantage with their starters, but our offenses are both definitely stacked but anyone can see our bullpen is far superior. I don't think the Red Sox win 108 games again this season but they are still going to be a thorn in our side. 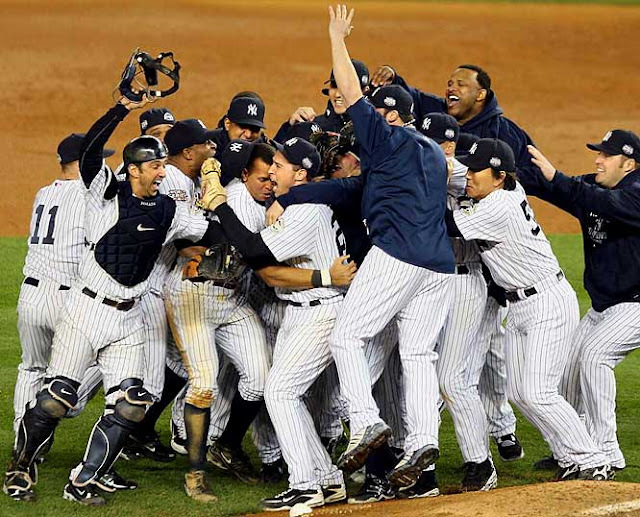 I think the Yankees have what it takes to take the division this year and get back to the World Series. We're also hungry. Now we just have to be hungrier than everyone else and win series to get there. It's going to be a LONG season, but let's start it off right with a series win over the Orioles! Thank goodness baseball is back. The New York Post said it best in its article, "American League preview: It feels like the Yankees’ time." On this eve of the start of the baseball season, it is clear that the Yankees are hungry for a championship, maybe more than ever. And also abundantly clear is that, we as fans, need something to look forward to this season. Let's be honest, it wouldn't hurt any of us to get an upgrade in championship gear, since our 10-year-old souvenir wear is probably fading. So, the question is, is it the Yankees turn? 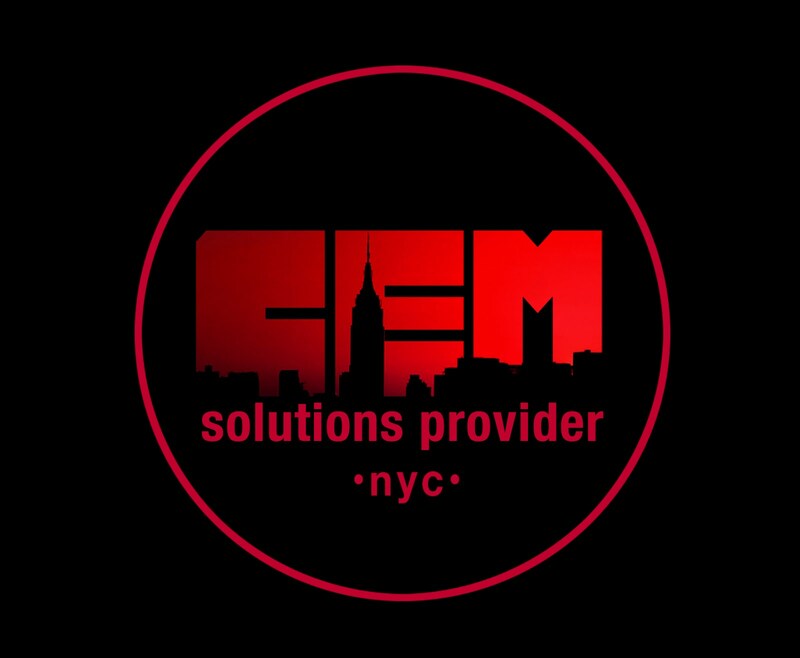 Will 2019 bring the World Championship back to the Bronx? 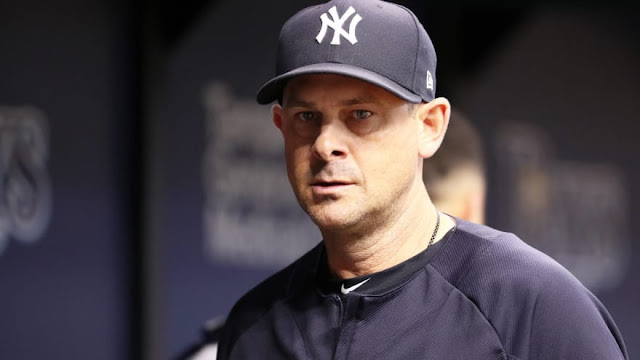 The Post believes the Yankees will win 97 games and that new pitcher, James Paxton, could make a key impact on this year's team or at least he needs to. 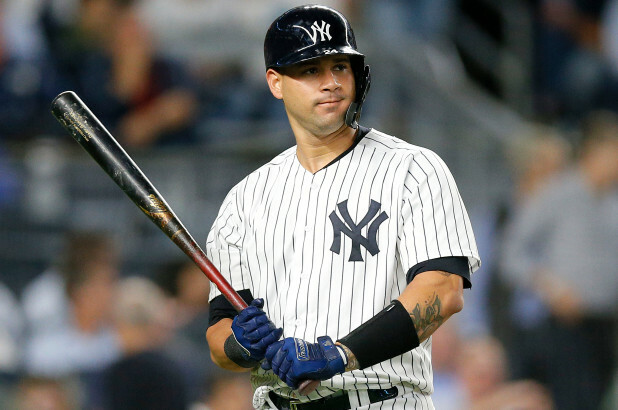 In order to win, the Post believes that Gary Sanchez needs to come in swinging. 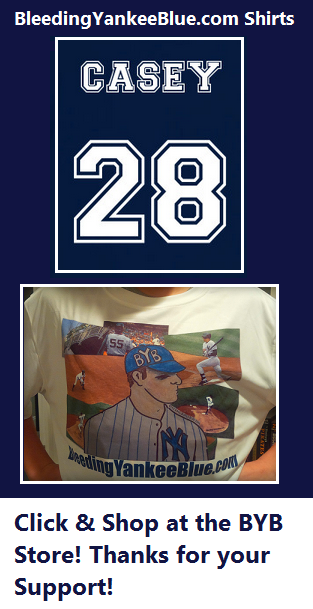 "Last year he batted .186, the worst ever by a Yankee with at least 350 plate appearances. The Yanks did not pursue J.T. Realmuto, doubling down that Sanchez will hit and catch to a high level." I think we all agree with that assertion. He needs to hit, consistently and be agile enough to block balls and gun down runners. It is that simple. Hoping these words make it to his ears and Sanchez makes a big impact on the team this season. 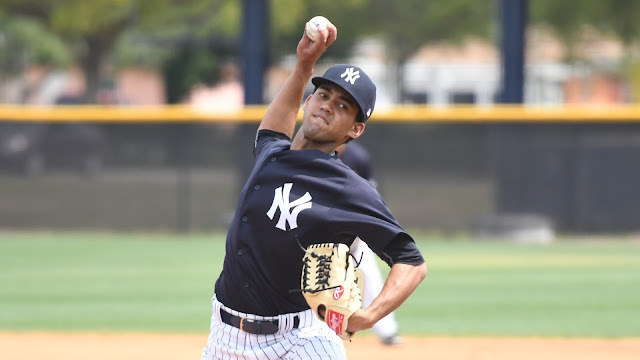 In addition, the Post says a "name we will get to know" is 19-year-old stud right-handed pitcher Deivi Garcia. 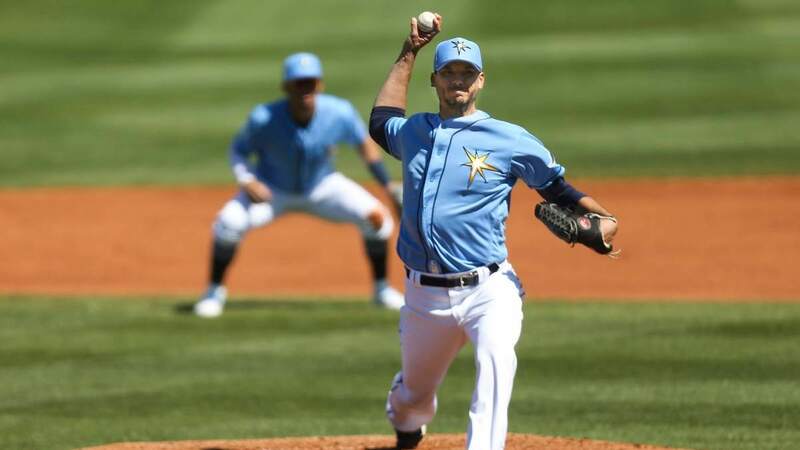 He will make his way up to the team later this summer and provide much needed relief to the starting rotation or as added fixture to the bullpen. With that in mind, it is not clear how Domingo German or Luis Cessa will contribute or how effective they will be. I have been a big fan of German given his performance this spring. I am sure the Yankees would like to use him as a long reliever or the sixth starter. He could even be trade bait for another big gun later this season. I think the final line of the piece says it all when it comes to the Yankees' possibility of winning the division and eventually the Series. "The past four champs — Royals, Cubs, Astros and Red Sox — have been built around young, starry, positional cores. The Yankees have such a group. It can be their time." If anyone was looking for a positive swing in the Yankees' direction, this certainly does it. One day! We have made it through the long, cold winter to the cool, breezy days of spring. 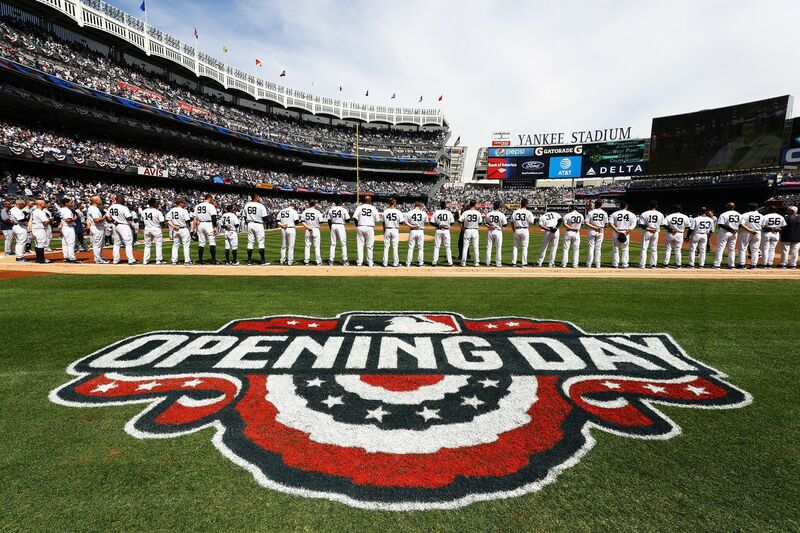 It's baseball time and the Yankees are ready. It's the Yankees turn. Let's soak it all in, get our bank accounts in order so we can upgrade our championship gear and cheer on the Yankees to #28. Spring Training 2019 is just about in the books, technically speaking, since the last game played was yesterday and teams are now inbound to their first day sites for Opening Day. 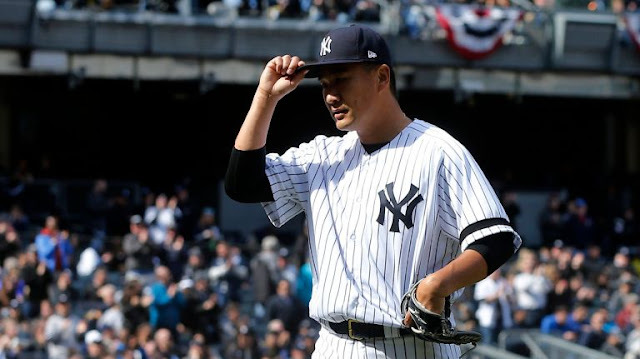 With two days to go, the Yankees averted an injury scare and we all breathed a collective sigh of relief in response! 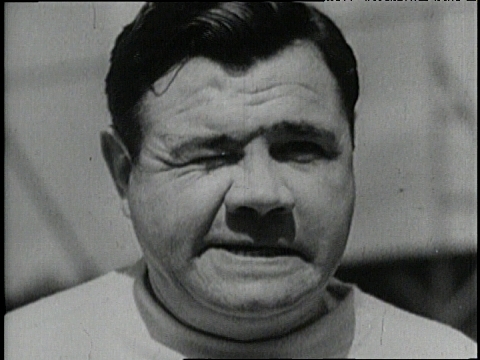 Miggie stayed in the game after being hit by a pitch but he was quickly removed between innings. Phew. 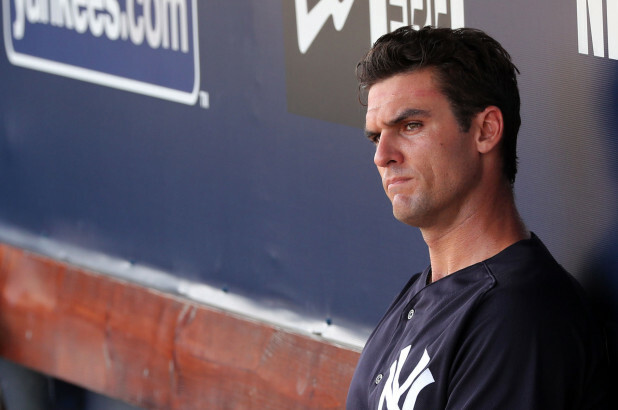 There was an article out earlier today from fellow blogger Pinstripe Alley that suggested through its headline, "Are the Yankees really an injury-prone team?" and this last blow at the last spring training game of 2019 does make you feel that perhaps the Yankees are. 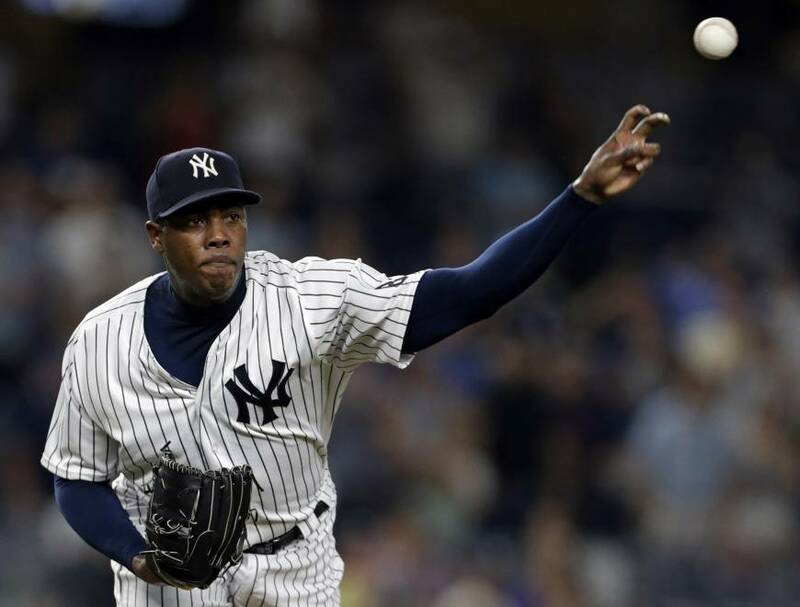 "The Yankees will start with several players on the disabled list: Luis Severino (shoulder), CC Sabathia (knee), Didi Gregorius (Tommy John surgery), Dellin Betances (shoulder), Aaron Hicks (back), Jordan Montgomery (Tommy John surgery) and Jacoby Ellsbury (hip)," reported NJ.com. 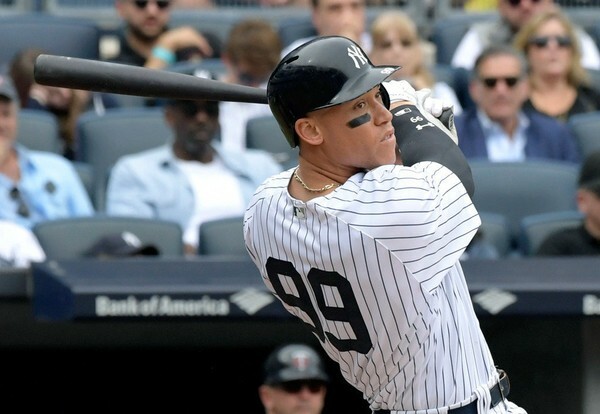 These injuries are no joke and recall the Aaron Judge wrist injury that sucked up most of the summer months for our rising star right fielder. Injuries are part of the game. Some can be avoided with good overall health management, diet and exercise balance and stress relieving activities. It is a long season. We all know this. Baseball players deal with seasonal changes (the 162 games span three seasons), travel and time zone shifts and sleeping away from their families and home. 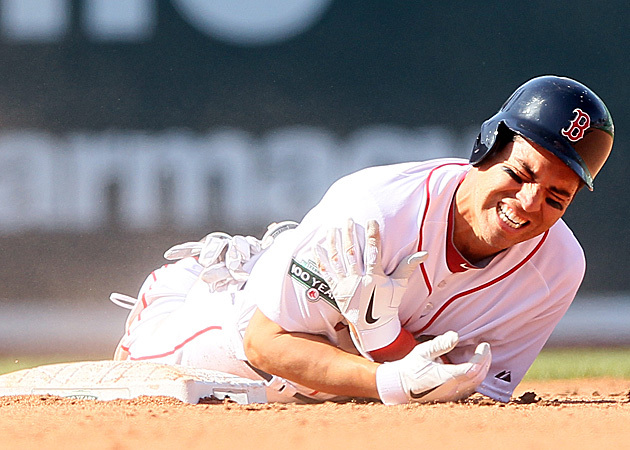 It is all part of the game, but these things do put anyone at risk for injuries. 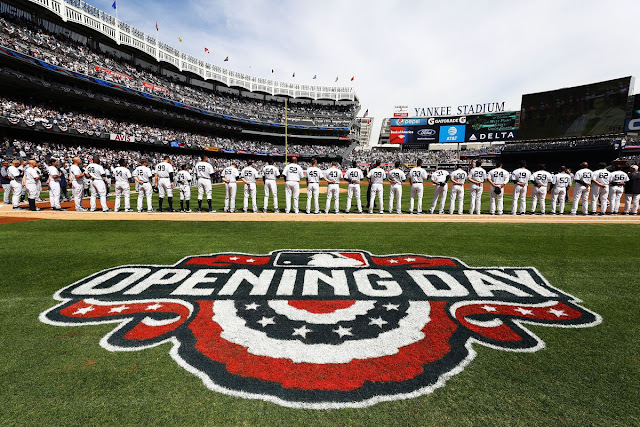 On a positive note, the Yankees will field a terrific team against the Orioles this upcoming opening day of 2019. They have grit, they have determination and the desire to win. Two days to go and the Yankees are ready to fight for what they came for: A World Series Championship for the Bronx and removal of the Red Sox from a helm they have had too long. Let's go! Quick note about a terrific promo that the Yankees have put out. 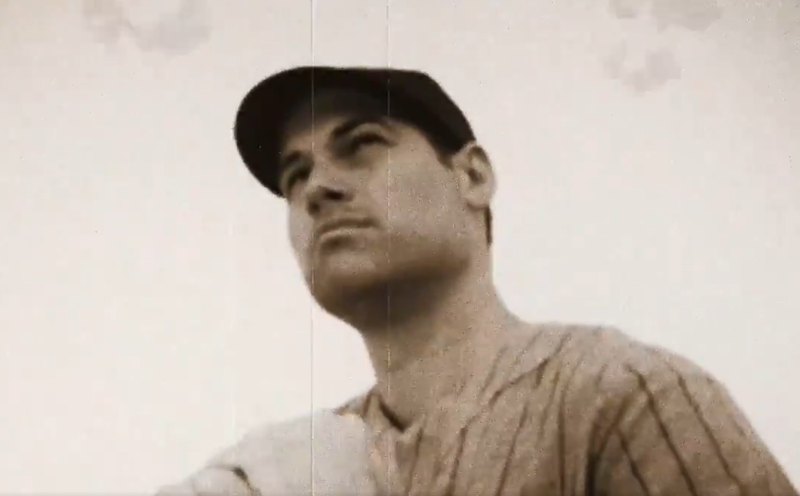 Just a smart, fun way to start the season, starring Adam Ottavino, Austin Romine and of course Babe Ruth. 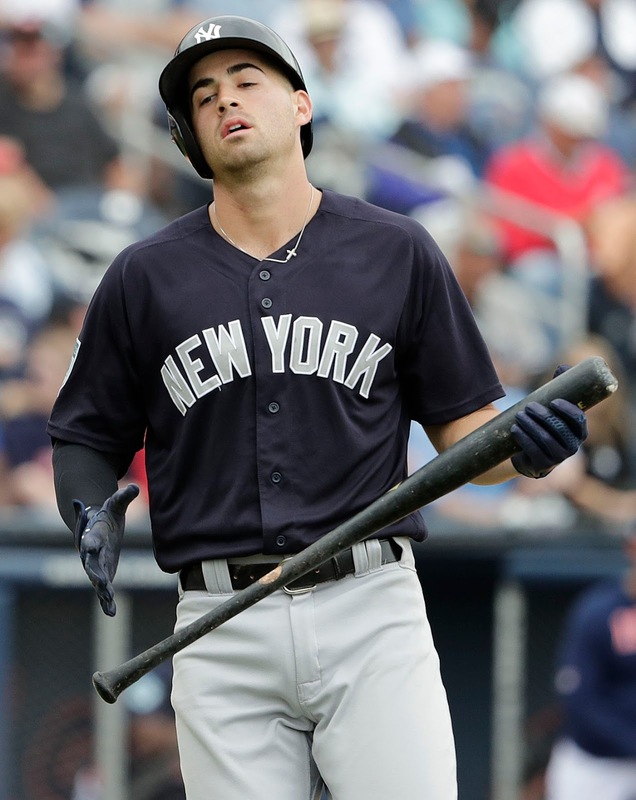 I don't like mixed messages at all, but there seems to be some crossed signals going on between Tyler Wade and Aaron Boone. Even with some missing pieces of the story here Wade is not mincing words here. He's pissed, and he's telling everyone. Even without knowing the full story here, I feel bad for Wade. It looked like he was finally going to get his shot in the big leagues. He worked hard all spring and did everything that the Yankees asked of him but it still wasn't enough. It must burn to be the final roster cut before the season officially starts. It looked like he won a spot until he was optioned to Triple-A before the start of Sunday's game. It's hard to watch the guy with a .320 BA in 19 games that you are familiar with and you watched him grind out a spot for the new guy. That new guy is Mike Tauchman who was recently acquired from the Rockies and for whatever reason....Wade thinks he lost his spot to Tauchman because of his defensive skills. "Very disappointing. It blindsided me. I did everything they asked me to do this spring and I played well and now my defense isn’t good enough," read more HERE. But interestingly enough, Boone has a different story to that. It doesn't sound like he told Wade he was being cut due to defensive concerns. "We really like his defense, all around, more so now than ever. I always envisioned him as the guy who can play everywhere, the unique guy who can play the middle of the diamond and also play the three outfield spots. I don’t have many reservations at all about that. He has only continued to grow in my eyes in his defensive versatility." So why would Wade walk away from this thinking he lost a roster spot due to his defense if the Yankees didn't actually say that? 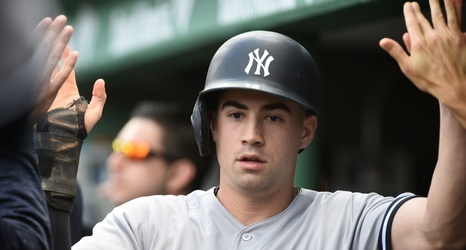 And if Boone and the Yankees are so confident in his ability why wouldn't they give him that last spot over Tauchman? Now Boone did say that he "didn't know" if Tauchman was a better defender than Wade but the NY Daily News had their own interesting quote from Boone HERE. 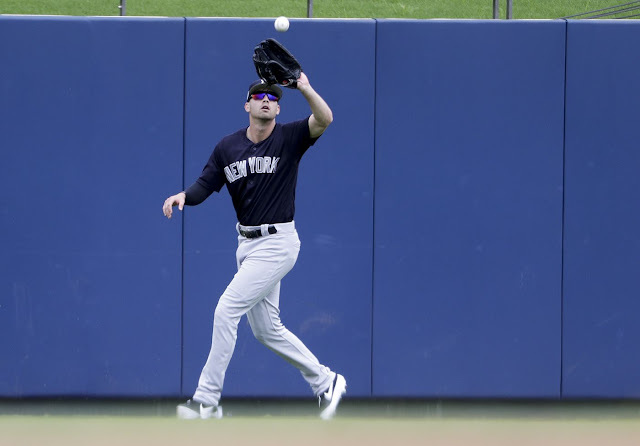 "I think with us being down an outfielder, Tauchman is a guy that … We believe we were able to acquire a really good player that really hasn’t had his chance yet. With Hicks being down, we feel like he gives us a guy that can be part of that rotation. One of the things with Tyler is, when we’re whole, he actually makes a little more sense because of the versatility that we feel he now really possesses. So this could be a situation where Tyler gets his chance even as we get healthier. That’s possible." So is Tauchman the guy because he is a designated outfielder while Wade is not? Is that what we are supposed to take from this scenario? I don't know. Or maybe the Yankees just still don't have enough faith in Wade to give him the starting role. You have to wonder why they they give the job to Tauchman who is older, and has only played in 52 games in his two-year big league career. He doesn't have a power bat. He does have a left handed bat though, which the Yankees would definitely like to have in their lineup. 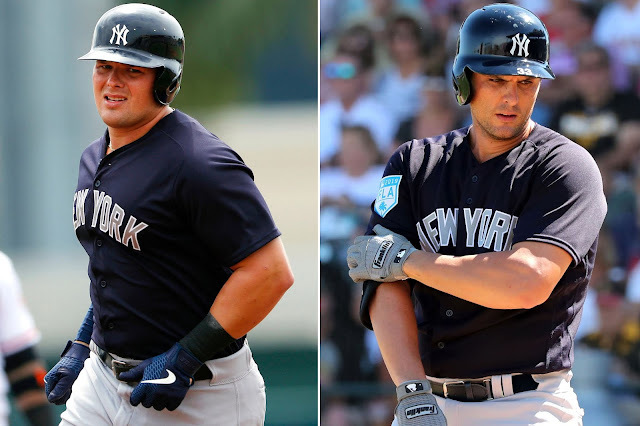 Can they really see more that they like in Tauchman compared to Wade? Something doesn't add up. We can continue to list conspiracy theories here, but at the end of the day Tauchman gets to be the fourth outfielder and Wade continues to miss out. I don't know why Wade thinks he lost his job based on defense and why Boone thinks Wade can help later but not right now. It's more Boone babble that doesn't make sense. The only thing that's clear in this....Tauchman got a spot he didn't earn and Wade got screwed. They say life isn't always fair....I guess baseball is no different. I still feel bad for Wade though.